PEZ SOCKS: In Shop Now! 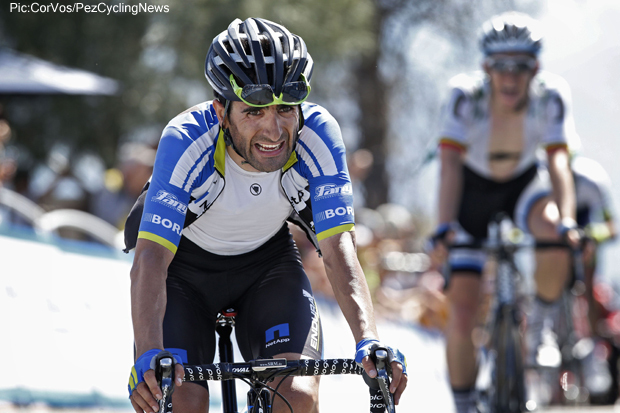 Rider Interview: Tiago Machado was one of the heroes of the 2014 Tour de France, fighting his way to the finish of stage 10 after a horrific crash. We caught up with the brave Portuguese rider with his new Katusha team at their training camp in Spain. 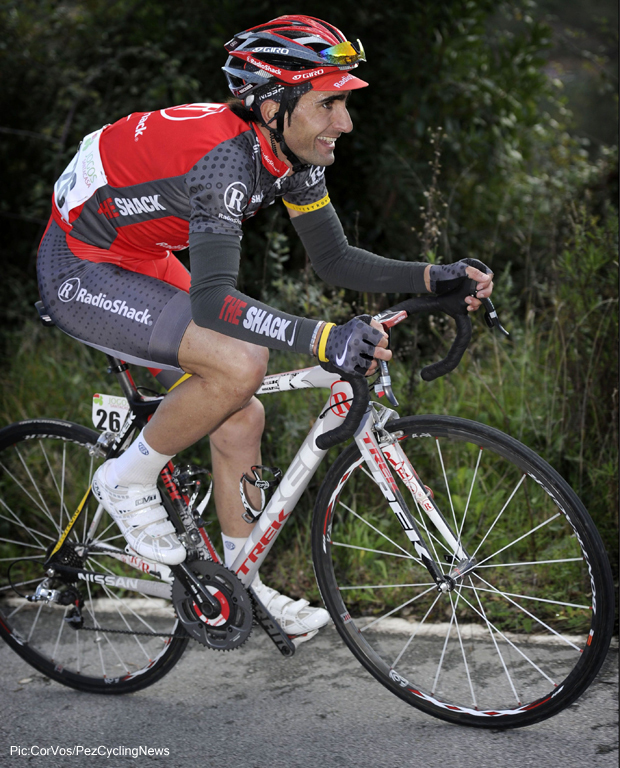 Tiago Machado turned Pro in 2008 in Portugal riding for the Boavista team before moving up to RadioShack for four seasons. In 2014, riding for NetApp-Endura, he had a successful start to the season, winning the overall classification of Tour of Slovenia and a string of podium places. He lined up in the Tour de France with great form and after nine stages was sitting 3rd Overall. On the 10th stage, Tiago crashed badly on a descend 96 kilometers from the finish, sliding down the road for about 100 meters. After being checked by the doctors, he ordered his team to give him his bike back and climbed three mountains to finish last, 43 minutes behind Vincenzo Nibali. Despite arriving outside the time control, the commissaries allowed Machado to continue in the race due to the extraordinary effort made by the Portuguese rider. French sports paper L'Equipe described Machado's effort as "heroic". 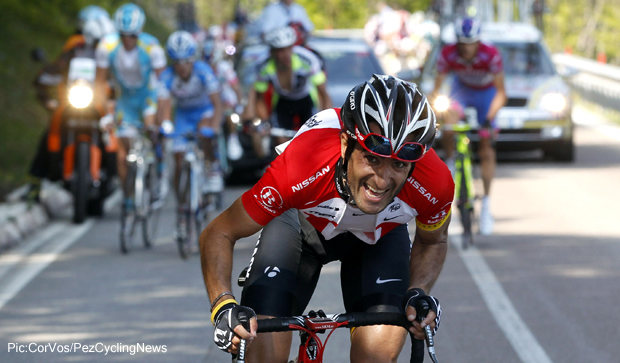 Tiago will be with Katusha for 2015 and 2016. PEZ: Do you remember anything of your crash in the Tour de France this year? It was a normal day, I was sitting 3rd overall on GC in the Worlds biggest bike race and I started on the downhill of the second climb, I think. I followed Paulino of Saxo; he is my friend so I follow him. He almost crashed on the same hole, but I lost the handlebars and after that…kaput! PEZ: But you rode to the end of the stage solo? Yeah, I rode most of the rest of the stage alone, I had the company of my teammate Schilly (Andreas Schillinger), but it was an impossible mission because we knew it was going to be hard to finish in time. But at least we tried and I was lucky that the jury had a good heart and let me finish the Tour. PEZ: What did you think about to help you carry on to the end? My family, especially my parents because my mum only asked me not to crash, not about victories or the podium, just not to crash. And if I continued, then they would know that I had nothing broken, that’s what encouraged me to keep going. PEZ: What do you think Katusha saw in you last year that made them want to sign you for 2015? I don’t think it was only about last year because Eki (Katusha team General Manager Viacheslav Ekimov) and José (DS José Azevedo) knew me from my first years at RadioShack and they understand that a rider can have a not so good year and 2013 was not such a good year for me. I rode for NetApp-Endura in 2014 and then I came back at my level and I’m happy for that. I think José believes in my potential and I want to do my best now. PEZ: When you went from RadioShack to NetApp did you feel it was a step down? I don’t think about it, but sometimes you need to make one step down to go two forward, that’s what I think, but I don’t agree it was a step down as NetApp is a good team and had a very good atmosphere and the organization is almost the same as a ProTour team, but with less riders. PEZ: With a little less money too. Yeah, if you have more money you are in the ProTour, for sure. PEZ: What is you plan for next year, 2015? I don’t know my calendar yet, we should know by the end of the week and I will try to keep to my progression, like I did last year and try to do everything they want from me, José and Eki, and that’s it. PEZ: Do you have a personal coach? I started last year with my coach and he worked well! PEZ: Do you work with the numbers? I use the SRM, I use it, but I don’t understand nothing. I just use it in training and do what my coach says, but in the race I don’t care about the power. It’s just to look at the speed and K’s to the finish and that’s it. I don’t use it for nothing more. PEZ: Some riders live by their powermeters. The best is to ride for the feeling, you cannot look at the power during the bike race, that’s my opinion, maybe I’m wrong. I’m a little bit ‘old school’ as in the past we didn’t have the power (meters), we just rode. PEZ: Did you notice a difference when you went from RadioShack to NetApp to Katusha or are they all much the same? Like I said before, from ProTour to a ProContinental team there is little difference, less riders and less confusion. I’m really happy being here at Katusha, it’s a nice team. 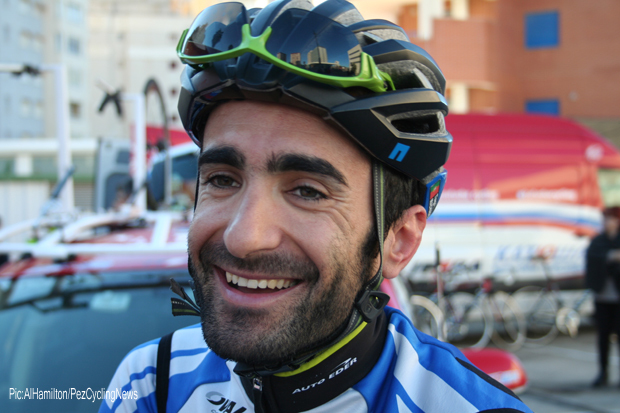 PEZ: Do you think there will ever be a ProTour team from Portugal? We have the talent for that, but maybe the money goes to other sports. Maybe the promotion of cycling in Portugal isn’t the best, but it is strange that we have enough talent there to have a ProTour team in the Tour de France, the biggest race in the World, but the people who have money don’t like cycling. 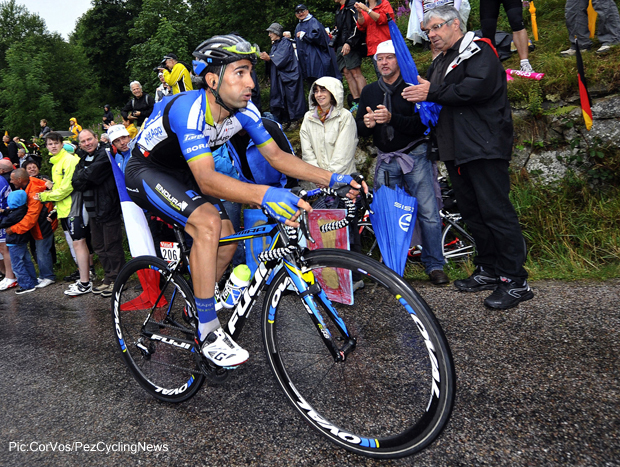 PEZ: Did you notice a difference in Portugal after Rui Costa won the World road race championships? I think it’s still the same, maybe in the week after the Worlds there was a big boom, but nothing has changed. PEZ: The Portuguese scene is really big, but it’s quite isolated and not so many riders race outside of Portuguese teams. Yeah that’s true, but now the mentality has changed, a lot of young riders want to come out of Portugal because they have seen José, Paulinho, me, Costa and the others. They saw us and took our example and they want to ride the biggest races in the World, but it’s not easy because there are a lot of riders. PEZ: But you can race a high quality, full season in Portugal. Yes, we have a good calendar in my opinion. We have nice stage races, but the problem is that outside of Portugal the ProTour teams have other options and we don’t have money to give the same conditions, because when people come to Portugal to race they love everything; the roads, the view, the parcours and the safety, but we don’t have the money to fight with the other big races. PEZ: I guess cycling in Portugal can never compete with football (soccer) and Cristiano Ronaldo? No, its impossible. In Portugal that is a big problem. It’s football, football, football. You know Hockey? We have some of the best players in the World, we always fight for the World championships, but nobody knows it. The runners are really good and of course Rui was World champion and José (Azevedo) was top ten in the Tour (6th in 2002 and 5th in 2004). We have a lot of talent in other sports, but it’s always football. In my opinion it’s about the prize, they give so much importance to football and the people forget that we have champions in other sports. PEZ: When you were young was it cycling from the start? No, like all the Portuguese I started with football with my friends, but I saw the cycling team close to my home and I started to ride. I can tell you I played better soccer, in the past, than I ride my bike, when I was 10 or 12. I started to ride my bike when I was 14. There were a lot of races for 14 year olds, every week-end we had something. Small criteriums or normal road races or stage races and that is more or less the same now as in my time. PEZ: Do you still follow football? Of course, but only Benfica, I don’t care about the other teams; I’m a big supporter of Benfica. PEZ: You live in Portugal and commute to the races? Yes, I fly from Oporto and I’m living in a small town called Famalicão in the region of Minho in the North of Portugal. It’s the region that is famous for the white wine in Monção and the other things like our traditional food, like Rojoes do Minho. Yes, you said your mother in law is Portuguese, she will know. PEZ: What would be the best race for you? Oh, that’s not an easy question. I think maybe Romandie, but because it is in the spring I have problems with the allergy, so it is not easy for me to ride in the spring. It is one of my favorite races. PEZ: You suffer a lot with the allergy? Yeah, sometimes I can’t breath. PEZ: How do you see your future? Well, I’ve signed here for two years, my goal is to do everything correctly or better. To do everything they want of me, they expect from me; Eki and José, is my biggest goal for the next couple of years. Do everything they expect from me. PEZ: Last year you had a very good early season; you won in Slovenia, 2nd in Murcia, 3rd in the Critérium International and 4th in California. I always start like this and I started with the new coach last year and we knew I would have a good start to the year during the winter. I think we made some mistakes in that last winter, but we corrected a key point (in training) and I think in this season I am better than last year. I do my job; I work to be in good shape. The team knows they can come to me at the last minute and I will be in good shape. PEZ: Do you think because Katusha is a bigger team, you might not get the same chances to take the victories and podium places as you did with NetApp? After I see my calendar I will know, until then I can’t say anything. I’m here to ride a bike and win races, that’s the key point, all the riders that are here are here to ride a bike and win races. PEZ: Do you hope to ride the Tour next year? To be honest, like I said before, I don’t care about the Tour, I know I can go there because I have done it before, but if they send me to the Giro; I will focus on the Giro or if they send me to the Vuelta, I will focus on the Vuelta, I don’t care. All I want to do is a three week race, I just want to race. 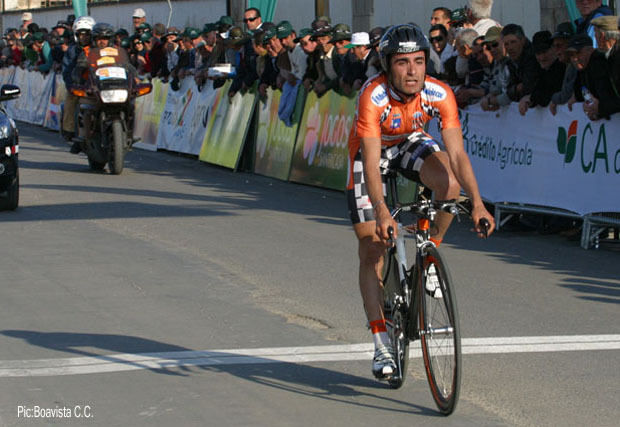 Good luck for 2015 Tiago and stay upright in the Tour.